More from the house of Nepenthes today. After yesterday’s fancy-boy EG shirting, here’s a Fall 17 piece from Needles to get us back to the relative safety of blue jackets. It’s a blue jacket. Chore style. Fairly standard on the whole cut front; four pockets, a collar, some arms. It’s made of wool Serge, which for those in the know means a twill fabric with a diagonal weave, and for those not in the know, well now you know. The most interesting thing about it (other than, let’s be honest, the Needles label) is its irregular dye job. 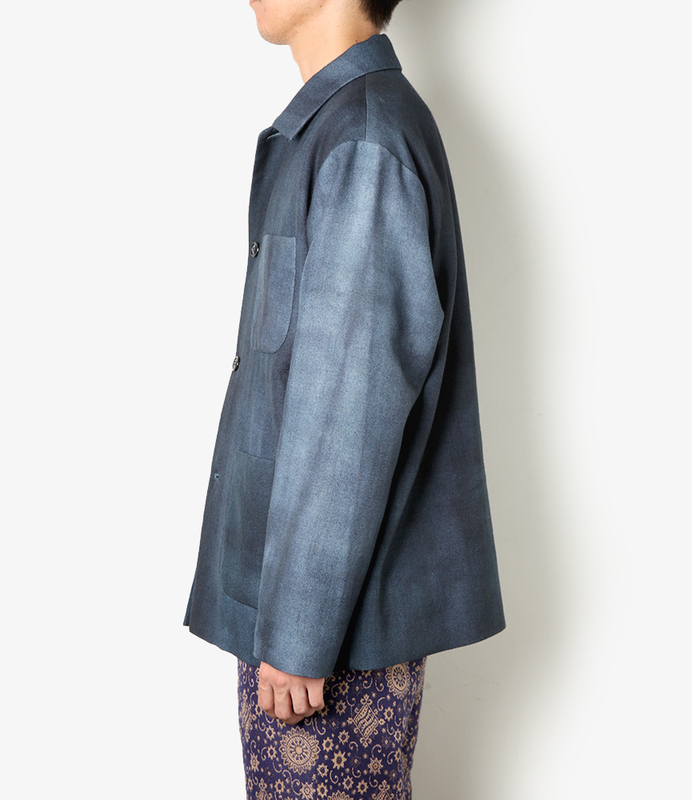 Mottled and bruised like a sulking sky, or indeed some wool Serge with an irregular dye job, it’s a stand-out piece. But stand-out in a good way? Well, yeah… maybe. A wool chore, rather than the more traditional cotton, means it’ll hang straight, it won’t crease. It’ll look luxe and pristine and kind of businessy. 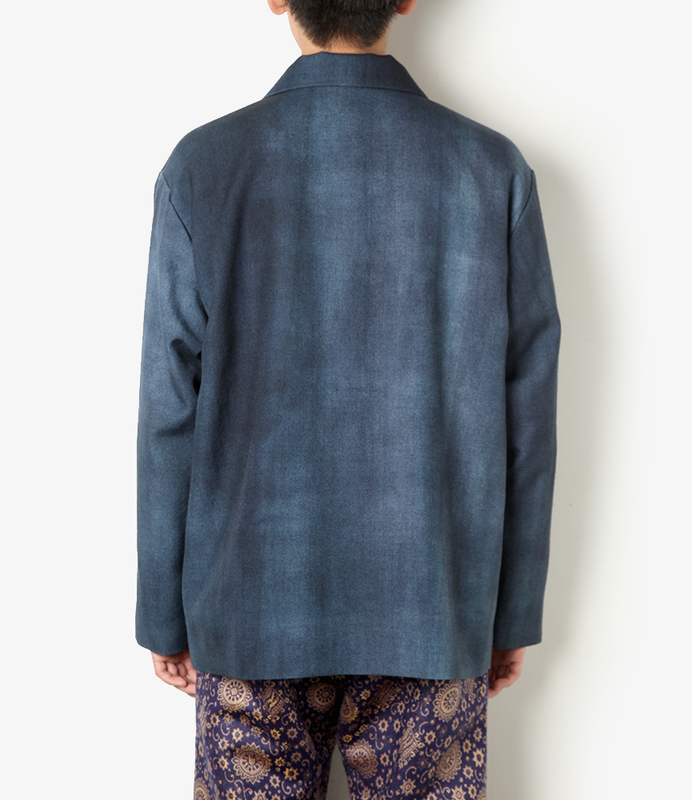 That’s it, a businessman’s chore jacket. Something to withstand the backbreaking labour of devising intercontinental synergies and downsizing a workforce. A piece equally comfortable at the coalface of getting your lunch delivered by Just Eat and the punishing rigours of buying a round on expenses. Bonus! It might be a bit, self-consciously fashion for your fit? It does put itself out there. People will definitely notice and think it’s a bit posh looking but in a weird way. And why doesn’t it crease? Who does this rotter think he is? And who let him in here in the first place? But then that’s Needles. I mean, look at the Ali Baba trousers you’re supposed to wear with it.